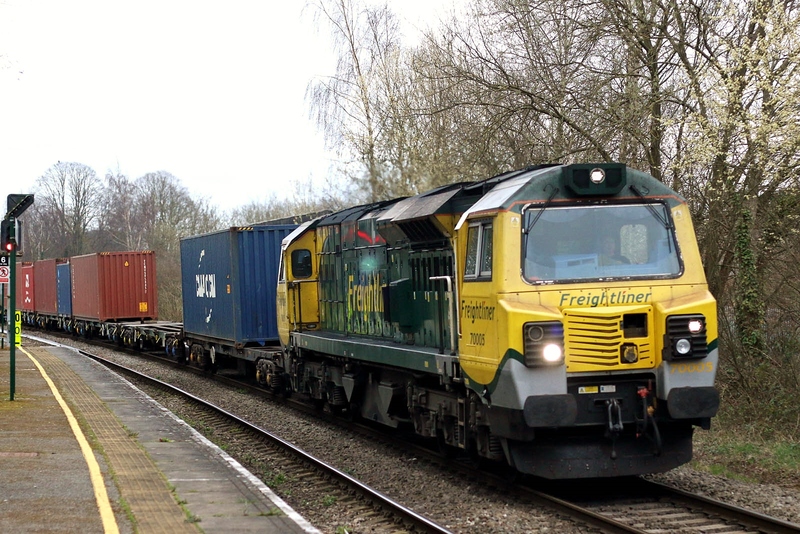 70005 4M98 17:24 Maritime - Garston passing Romsey, 20th March. 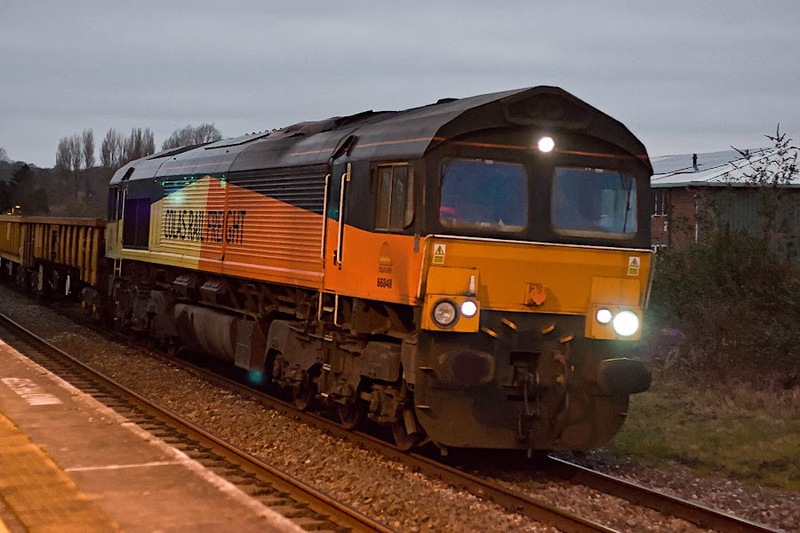 66848 6O31 17:30 Westbury - Eastleigh, Romsey, 20th March. This is expected to be a GBRf turn in about a month, if it continues to run in this pattern. Thursday 21st March: Southampton Tunnel flooded until about 11:00: "Network Rail engineers are aware and on site working to stop the water running onto the track. The water is coming from the bridge over Southampton Tunnel which has rendered one line unavailable for use, meaning all trains will use the other line. Trains may be delayed if their timings clash, and alterations made to ease delays and congestion. Your journey time may be longer and we advise you to check before you travel, as the train you usually take may not be running. There will be a reduced service on the route between Portsmouth and Southampton via Netley, and between Southampton and Salisbury via Romsey. Replacement buses are operating between Salisbury and Romsey. 47739 + 47749 livery reveal at Eastleigh on 19th - note that 47739 is riding on Class 57 bogies with sandboxes.